Lex Luther was a shill of a villain compared to this trademark. 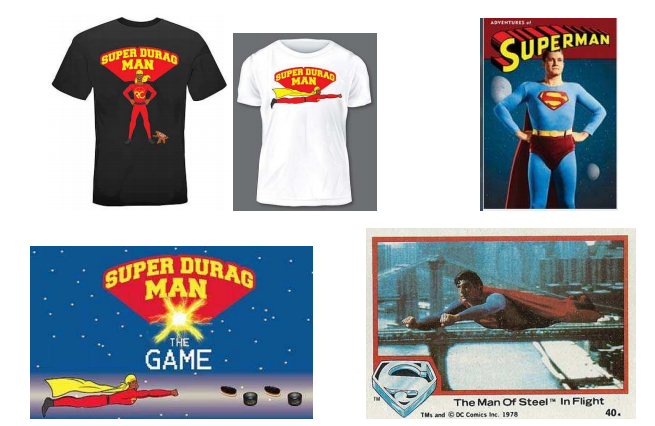 DC Comics has opposed a trademark for a cartoon character, SUPERDURAGMAN, that was clearly inspired by Superman. Oh bless people out there who think they don’t need a lawyer to file a trademark registration application. Donovan Butler, in his own name, filed a trademark registration application for his character, SUPERDURAGMAN. The mark was put in a strange class that covers cartoon licensing and not any of the actual products or services that would be more germane. Butler’s character can be seen on apparel, video games, and its own webseries (the animation is quite good). From the website, Super Durag Man is describes as a “representative of the culture and fights to promote understanding of the culture. His journeys will include serious topics softened with humor. His first adventure will focus on the negative effects of gentrification.” Several things that should have been done differently in that application but the biggest one is tugging on the cape of Superman. The first story of Superman was published back in 1938 and, arguable, he is the most famous and popular comic book character of all time. DC Comics has been using the trademark ever since. DC Comics owns numerous registered marks for the name, SUPERMAN, the diamond logo, and also some for the look of Superman. 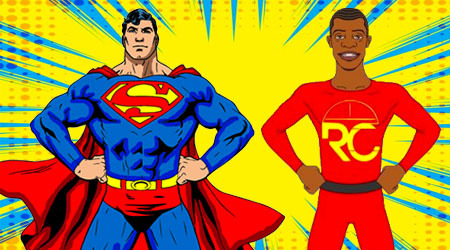 DC Comics formally opposed the mark and couldn’t help but notice the similarities between the two characters as shown in the evidence that can be seen below. DC Comics claims that the SUPERDURAGMAN mark is confusingly similar to its SUPERMAN mark and comic book fans are bound to confuse the two and think they are associated when they are not. Further, since Butler is using the name in commerce, he has opened himself up to a trademark infringement lawsuit as well. This is why you get a lawyer before going and filing a trademark registration because you have now put yourself directly in the line of fire of DC Comics. I do not expect this mark to go through and I highly doubt that Butler will put up an opposition to it. Hopefully he can work out some kind of settlement that avoids further legal action from Superman’s attorneys in blue tights.